It may be stated that we are acquainted with Fezz Audio for some time now. 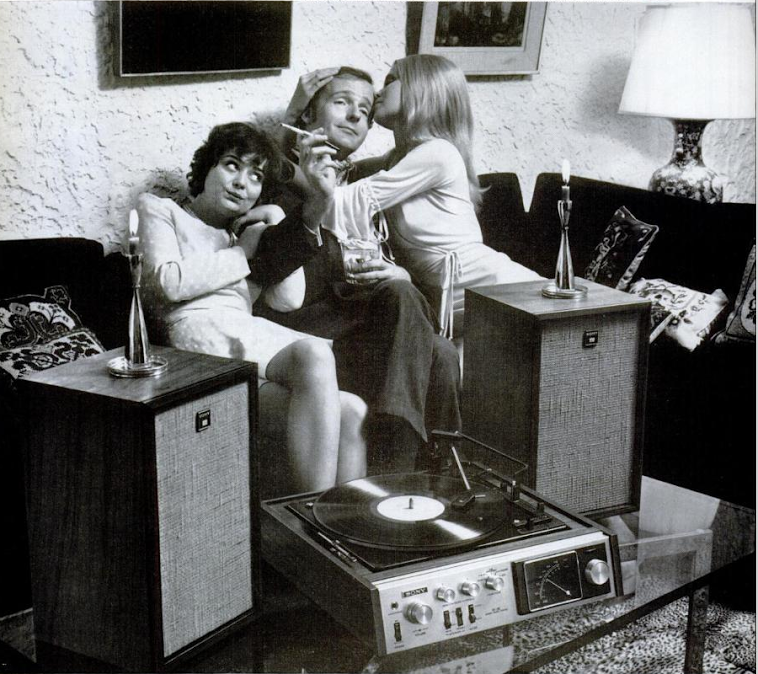 For several months, we were trying to schedule a test of the Silver Luna amplifier. But the fist obstacle that we faced was the Audio Video Show in Warsaw in November and the ensuing mobilization of both personnel and equipment of Fezz Audio, and then, the surprising aftermath consequences of this trade fair. Well, the thing is that during the Audio Video Show, and just after the event, the company has literally sold out all of its initial, first production stock of 16 units of these amplifiers. I had a per-arranged rental of a unit of the Silver Luna, either in color scheme 'white' or 'orange', to be exercised just after the fair. Unfortunately, all the available stock units went out, far out into their world-wide destinations, so as to bring joy to the ears of music lovers. Ultimately, I finally received a unit in the 'Black Ice' version of the color scheme, which I accepted, because I did not want to wait yet another several days for the completion of production of the next batch of units. As mentioned in the foreword, a courier came in a few weeks ago, bringing for me a shipment of the latest Silver Luna tube amplifier, as produced by a new Polish company, namely Fezz Audio. 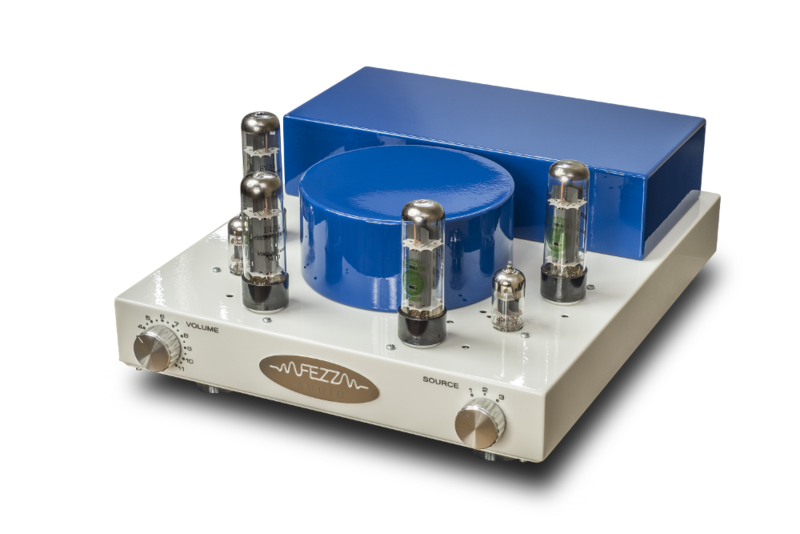 Yes, the amplifier is a new release, and the name Fezz Audio, is indeed a debut on the market. 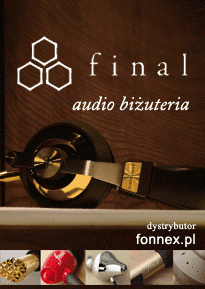 But Fezz audio stems off in a straight line from a well-known company called Toroidy.pl, which is represented (amongst others) by the Tomasz and Maciej Lachowski brothers, who are both well recognizable in the industry. The Lachowski family, including the father - Mr. Lech Lachowski, have concentrated thus far (since 1992) and focused primarily on the design and manufacture of transformers for the energy market, and only secondarily to address the needs of the audio segment. But recently, since they have started to manufacture speaker output toroidal transformers for vacuum tube based equipment (see HERE), including the "Single-Ended" topology types, an idea was born so as to design and implement the the company's very own vacuum-tube amplifier, which would be based on their own toroidal transformers. As mentioned earlier, the amplifier is equipped with their own "toroidy.pl" speaker output transformers and mains transformers. The very same company manufactures transformers for such well-known audio companies as: Mytek Digital, Lampizator, Wile, and many others. Moreover, it need be noted that Fezz Audio posseses its own workshop and paint-shop, where they produce their chassis for the amplifiers. It can, therefore, produce amplifiers in a large scale and in many color varieties. Importantly, Silver Luna incorporates some innovative research developments in the field of toroidal transformers designated for vacuum tube amplifiers, as till recently it was common in the tube amplifier domain to rather use the traditional, E-I lamel based, rectangular transformers. By leveraging on it's multiple year competences and production facilities, Fezz Audio can substantially reduce the cost of transformers, and hence can significantly reduce the prices of its amplifiers. The amplifier comes in a rather compact, cardboard box (tube-amp-wise). Yes, indeed, it is quite a heavy box, but at the same time both flat and fairly small. After unpacking, everything becomes clear. The box contains the body, the chassis of the amplifier, but the vacuum tubes are not inserted into the sockets. The tubes are packed separately in several separate cardboard boxes and are included inside. The manufacturer recommends that after the device is removed from the shipping box, that we at best give it some time to "rest" after the trip. After that, we may proceed with the installation of the vacuum tubes. All tubes are sourced from Electro-Harmonix, a company which enjoys a good reputation and delivers reliability. Importantly, the tubes are measured and paired. They are also non-ambiguously assigned to each of the sockets. After inserting, affixing the tubes into the octal sockets, the bias setting it is worth checking with a multi-meter. Appropriate legends and explanations are given in the manual. Even a five-year old child will be able to successfully execute with this procedure, and the whole measurement process takes no longer than five minutes. It is worth noting that the Silver Luna is available in four original color schemes: Sky Blue (white and blue), Burning Red (red and black), Big Calm (burgundy-black) and Black Ice (black). And it is this last version that I have received. As mentioned, Fezz Audio has its own factory, in which it produces the chassis, as well as its own paint shop, so it can therefore produce many varieties of amplifiers without recourse to third parties, outside entities. This not only gives them freedom of implementation variations, but also gives room for significant cost rationalization, aka for the production of high-quality equipment at very reasonable price points. The company Fezz Audio is betting on a very individual design and style of its amplifiers. The equipment looks rather simple and economical, but it is indeed an aesthetic design, though visually minimalist. The whole has a somewhat vintage style to it. The chassis is made from a thick iron sheet, which is precisely painted into a black lacquer finish. The upper deck of the chassis is equipped with two additional transformer covers - the one in the back an elongated, transversely mounted rectangular one, and a centrally placed round one. Circularly around it, as if a garland, six vacuum tubes are located. There is no protection cage for tubes. The front panel is not crowded. There are only two aluminum knobs, with a styling à la the 70'-ies of the twentieth century. On the right hand side there is the rotary selector of three signal sources, and the left - there is the attenuator/volume knob. Centrally, in between, there is an elliptical, silver name plate with the FEZZ Audio logo, glued on to the chassis, with elaborate undulations. All in all, very nice looks. The rear panel is somewhat more abundant, as compared to the front. The central region is occupied by metal speaker binding posts (separate sets for 4 and 8 ohms speaker impedances). On the left there are three pairs of RCA input jacks, and at the far right - there is an IEC mains connector with an integrated fuse. Adjacent to that, there is a mains power switch. The equipment rests on four solid aluminum feet, with rubber padding. The "Silver Moon" is an amplifier which is based on four EL34 vacuum tubes, working in the output stage, and two ECC83 tubes, working in the per-amplifier and driver stages. The actual tubes, or glass-ware, is sourced from a reputable company called Electro-Harmonix. The topology of the amplifier is a Push-Pull, working in class AB1. The insides of the apparatus is equipped with components from renown companies, for instance Nichicon FG Fine Gold capacitors, Alps potentiometers, the "Supreme" grade of toroidal transformers from Toroidy.pl and others. The output power of the unit is 2 x 35 watts. View of the amplifier directly "out of the box"
To the amplifier, I hooked up, in sequence, three distinct pairs of loudspeakers: the floor standing Pylon Diamond 25 (efficiency 88 dB), then the AudioSolutions Overture O203F (91 dB), and then the Vienna Acoustics Mozart Grand (90 dB). To top it off, I hooked up stand mount based monitors: the Studio 16 Hertz Cato Three SE (87 dB). 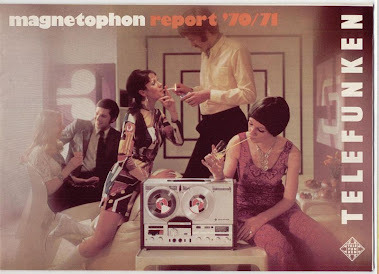 As for "amplifier" comparisons, I hooked up as alternatives the comparative transistor amplifiers: the Audia Fligth FL Three S, the Hegel H160, the Pioneer A-70AD and the Dayens Ecstasy III, as well as a vacuum tube base amplifier, the Cayin CS-55. The listening room was about 30 m2. A detailed list of the associated accessory equipment is listed at the end of this text. 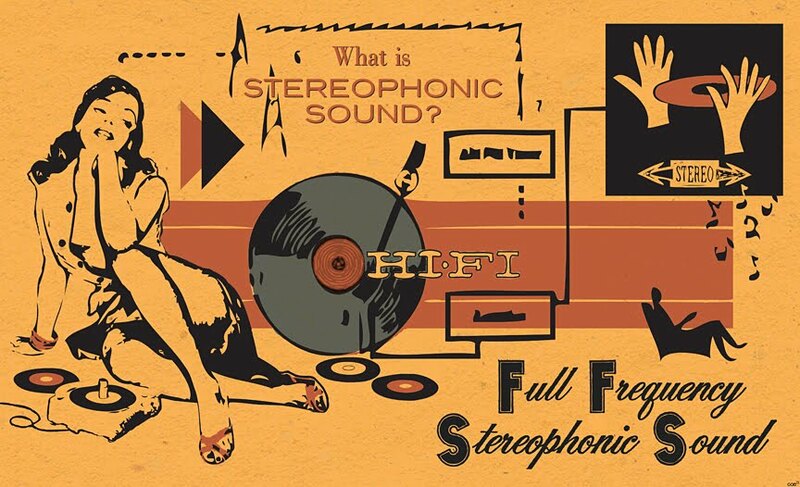 Somehow it became a common and popular opinion, consciousness, that tube amplifiers (and especially the low budget ones) tend to be frequently characterized by a warm sound, and maybe even with a sweetened-up coloration, with a slight sluggishness, or slowdown in their representation, as well as by a certain haze that covers or masks the fine details of the sound. A distanced sound, and full of "cotton". Well, no. Not quite. A diligently designed and executed tube amplifier can perform as good as a good transistor. Having said the former, I do not want to purport that the Fezz Audio has a one hundred percent transistor-like sound, because it actually has a very pleasing, warmed up midrange, which is very pleasant to the ears, but I want to stress that the amplifier does not have the above mentioned mythic drawbacks of a typical "tube" amplifier. The Silver Luna has a fast and energetic sound, a sound that is strong and aggressive, which is impressive and surprising, considering the not so huge output power, declared to be 2 x 35 watts. The designers have managed to create a device that offers a saturated and authentic, believable sound, yet precise and very natural. A sound without any aggression or harshness, but smooth and colorful, well balanced and symmetrical. One of the strengths of this unit is its ability to present a melodious, harmonious voicing of the instruments. This manifests itself and is clearly audible in the vibrations of guitar strings. You can feel their vibrations and rattling, both the stronger and weaker tones, the louder ones and the imperceptible ones. You can hear the exact sustain and stalling of sound waves, and the resonances of the air in and around specific instruments. The same is likewise true in the context of other string based instruments (chordofones), such as the violin, the piano, cello, the contrabass, but is also perceptible in the case of trumpets, saxophones, etc. It is not common practice to be able to deliver such levels of performance in a, lets name it, at any rate an entry-level budget type of device, which can deliver such advanced performance capability and skills so as to paint the realistic sound structure of various instruments. No doubts, the Fezz Audio product deals with these very well. In addition, the amplifier is capable of providing a separation of these sounds, it can isolate, separate them from each other, so as to evenly and precisely position them in space, to define their magnitude and weight, but also to show a lot of nuances, details, and speed and the elongation of the sound. OK, so maybe it is not doing this job as ultra carefully and meticulously as devices such as the Hegel H160, or the Audia Flight FL Three S, but it actually is doing it very decently. More than satisfactory. The timber of the amplifiers sound has the attributed of a strong, saturated presentation which is founded on a robust and resilient, springy, energetic bass. It holds both much plasticity, vividness, but also detail. This is not a presentation of very great accuracy, although it is quite accurate, and primarily very selective. The contours of the sounds are plotted firmly and clearly, they have a juicy filling, one can feel a sufficient mass of the tones; Such a weighing, that makes the instruments sound reliably and direct. Enlivened. The Silver Luna offers a clear sound with a correct separation and a spectacular positioning of the virtual sound sources, as well as more than in-the-ordinary dynamics (as compared to its output power capability). This ensures a wide sound stage with a good gradation of plans, although the majority of the action and the events takes place at the front of the stage. 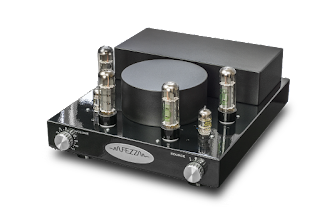 Furthermore, the Fezz Audio, although constructed based on electron tubes, does not tilt too obviously towards a warming-up of the midrange, it preserves the integrity of this range, with a sense of appropriate analytics and with a hefty dose of neutrality. That is why the music, including the vocals, sound not only emotional and sensuous, but also realistically, without any artifice or exaggeration. Euphemistically, the sound is clean and convincing. Finally, a few words about the configurations with the various types of loudspeakers. In sequence, I hooked up three types of pairs of floor standing loudspeakers: the Pylon Diamond 25 (efficiency 88 dB), the AudioSolutions Overture O203F (91 dB) and the Vienna Acoustics Mozart Grand (90 dB), as well as Studio 16 Hertz Cato Three SE monitors (87 dB). 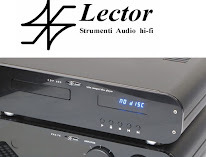 It would seem to be a misalliance to hook-up loudspeakers from a price range of about 10 000 PLN, such as the AudioSolutions, or the Vienna Acoustics, and connect them to an amplifier which is more than two times cheaper, but I assure you that it was by all means a good combination. One providing an energetic sound with a high culture and with an optimal tonal filling. The high efficiency of these speakers (≥ 90 dB) allowed to play offensively and massively, but also accurately. As it turned out, the Pylon Diamond 25 have also proven themselves as a very good arrangement. 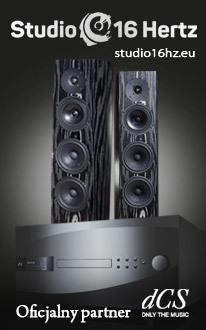 The Diamond loudspeakers delivered not only a natural, but also a lush and colorful sound. An all-rounder combination with exceptional synergy. Also the Studio 16 Hertz Canto Three SE speaker monitors fared extremely well against the big floor standers, and this in spite of the not to exceptional efficiency of 87 dB. This combination worked out well in a smaller room, of about 20 m2. The Canto Three SE, considering their compact size, are excellent in reproducing a juicy bass with a superb euphony in the representation. As a result, the sound of the Silver Luna in this combination was vivid and abundant, but not as extensive as in the case of the floor-standers, which is sort of obvious. But the stereo imaging proved to be outstanding. Fezz Audio Silver Luna is a rigidly, diligently designed and executed tube amplifier unit. As for the mains power transformers and the speaker output transformer, it uses in-house production toroidal transformers (i.e. sourced from the sister company Toroidy.pl). The design and the aesthetics are at a higher than decent level. Many chassis color options are available to choose from. The functionality of the device is limited - there is no remote control, and there are only three analog signal sources to choose from. The package does not include a protective cage to cover the vacuum tubes. The amplifier provides a full and colorful sound, with a deep saturation and fantastic energy. An energy that is astonishing in its flair and speed, considering a vacuum-tube based design of an output power that is limited to 2 x 35 watts. A major advantage of this unit is its ability to appear natural, providing an elastic timber to the sound of the instruments and vocals, which appear as credible and sensual. Enlivened and clear. With a punch of flair. Silver Luna is an entirely Polish design and is based on proprietary, original technical solutions. 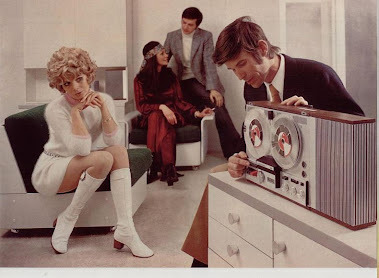 I am under a very positive impression after this listening audit and I am keeping my fingers crossed for the further development of this Fezz Audio company. The first project, product, is excellent and bodes a market success. A very beneficial, attractive price performance / design ratio. A really nice amplifier. Bravo! Price in Poland - 3 999 PLN (about 1 000 Euro). Amplifiers: Hegel H160, Audia Flight FL Three S, Cayin CS-55 A, Dayens Ecstasy III, Audio Analogue Fortissimo and Taga Harmony HTA-700B. Loudspeakers: Triangle Esprit Antal EZ, Vienna Acoustics Mozart Grand, Polk Audio RTi A7, Audio Solutions Overture O203F, Zingali Zero Bookshelf, Zingali Client Nano and Sub, Guru Audio Junior, Taga Harmony Platinum One and Studio 16 Hertz Canto Three SE. 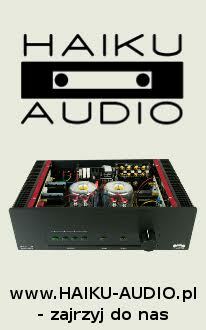 Digital sources: CD Musical Fidelity A1 CD PRO, Audio Analogue Fortissimo DAC, Audio Analogue Vivace and NuForce Air DAC. Computers: Apple MacBook Pro and Toshiba Satellite S75. Turntables: Clearaudio Emotion insert Goldring Legacy and Pioneer PLX-1000 insert Goldring 1042 and Ortofon 2M Red. Phono preamps: iFi Phono, Primare R32, Sonus Oliva and Ri-Audio PH-1. Tuners: Rotel RT-1080, Yamaha T-550 and Sansui TU-5900. Cassette: Cassette Deck Nakamichi 1. Headphones: RHA MA750, Final Audio Design Adagio V, Final Audio Design Pandora Hope VI, Oppo PM-3 and AKG K545. Headphone Amplifiers: Cayin C6, Cayin C6 DAC, Divaldi AMP-01 and Taga Harmony HTA-700B. Wiring: Laboratory Audiomica series Red and Gray, the DC-Components and Harmonix CI-230 Mark II. KBL Sound power cord fluid. Power cable, speaker cables and interconnects RCA Audiophile Cables Perkune. 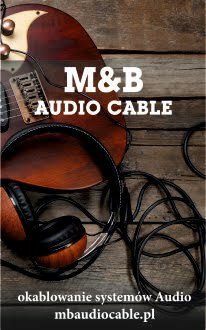 Speaker cables: Cardas 101, Melodika Brown Sugar BSC 2450 and Taga Harmony Platinum-18. Accessories: base under the turntable is Rogoz Audio 3SG40, the base of the speaker Rogoz Audio 4QB80, the interest vibration Rogoz Audio BW40, cabinet audio Solid-Tech Radius Duo 3 and mat pickups Harmonix TU-800EXi and Plugs RCA Sevenrods.